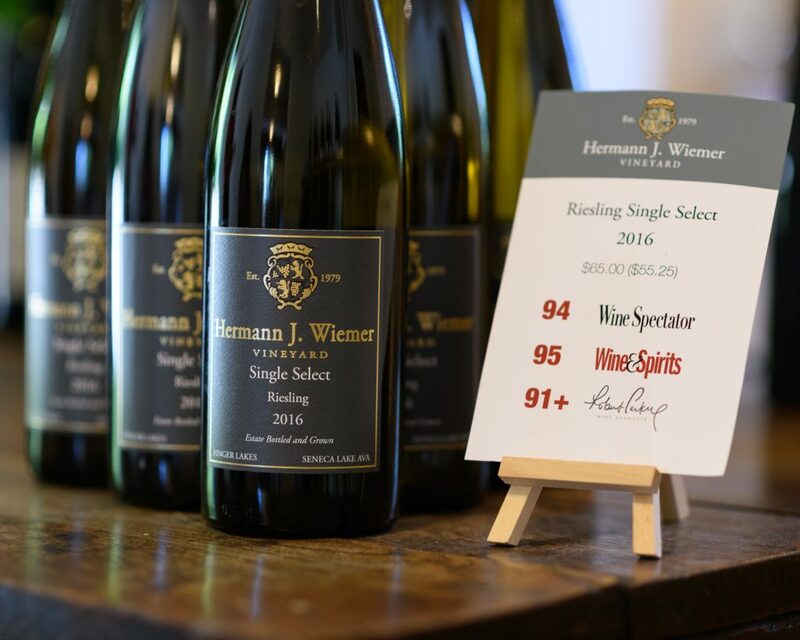 Hermann J. Wiemer Vineyard almost needs no introduction; it is well represented throughout the U.S. market as well as abroad. When I visited Belgium 15 years ago, I was asked to bring one bottle of New York State wine with me to open at a wine dinner. I chose a sweet riesling from Wiemer. 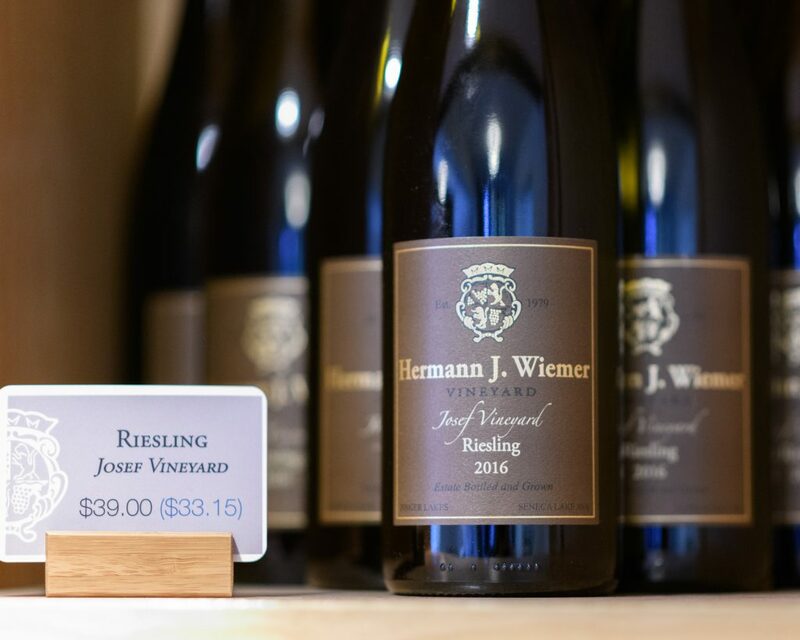 The wines in New York State overall, and Finger Lakes specifically, have taken a large leap forward since then, but Wiemer has stayed at the front, both in their approach to the vineyards, and with their winemaking. The dry Rieslings especially have become irresistible, mineral, elegant and yet packed with ripe fruit. 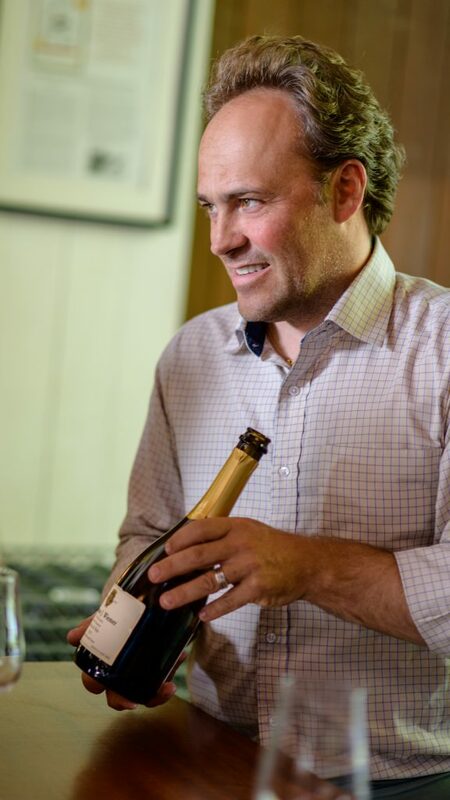 However, the sparkling wines are not to be forgotten, especially an excellent blanc de noirs – a rarity in the region. I allotted most of the day for my visit this summer; to walk the vineyard is always a pleasure here. First timers should allow an extra 15-20 minutes for the “Map” – the gigantic map of the vineyards hanging in the tasting room with detail down to the clone and rootstock information, elevation and year the vines were planted. It should keep a wine geek enthralled for a good portion of an hour given the opportunity. After that – dig into the wines! I cannot even list all of my favorites here, I had to omit the stellar Gewurztraminer, floral and yet bright (and a tough grape to make well in a humid region), the crisp Chardonnay and the earthy but ripe Cabernet Franc. I was already a big fan of the 2012 vintage of this wine but the 2013 takes this to another level. A big and powerful sparkler, masculine and textured. Loads of citrus in the mid, but balanced by acidity into a well-rounded wine. The wine opens with white peach on the nose, the palate has a ripe core of peach and pear, along with herbal notes. The minerality is quite obvious and lends elegance to the wine. Dry finish with zest and herb. Excellent “estate” wine. This wine is always one of my favorites. It plays the role of a serious kabinett trocken, with both the age-worthiness and the depth of the style. As usual for this wine, it leans towards the Pfalz-like tropical fruit, with orange and pineapple on the nose, in addition to the orchard fruit. There is a level of minerality at the core, with peaches and grapefruit. The finish is exhibits the zesty, tart notes of a bright Riesling. This is a perennial buy for me. This always shows as the most elegant of the three singe vineyard bottlings. It is focused, with orchard fruit dominating. Peaches at the core, with mineral and stone notes. Ripe and dense but still light and elegant. There is a hint of sweetness on the back palate, leading to a dry, zesty finish. This is always my favorite of the three. It combines the power and ripe orchard fruit with elegance and minerality. The 2016 is a bigger vintage, thus this wine is almost a feinherb in style, with a richer and creamier palate. Ripe pear and peach notes, serious in the mid with a complex and long palate. Excellent. I have to say, this may be the best Finger Lakes wine I have ever had. It is an “auslese” style Riesling, made possible by the beautiful and ripe 2016 vintage, with about 50% of clean botrytis grapes in the mix. Rich nose of orange blossom, apricot and mango. The mid is ripe, peach and orange dominating, but with the bright acidity to keep the wine balanced. While obviously sweet at this point, I believe it will age into a more direct and savory wine in time. A stunner. This is one of the grapes that I feel does not get enough praise, especially in the Finger Lakes region. And the Wiemer Lemberger is easily one of the best. Bright red fruit on the nose, cherry and raspberry. On the palate it leans toward plum and blackberry along with the brighter acid core. While perhaps not as deeply complex as the Rieslings, this is an excellent red wine and incredibly food friendly. Standing Stone Vineyards is not a new name for the Finger Lakes, and their sweet wines especially were stellar for years. But now, under the guidance of the Wiemer team, their old vine vineyards are sure to see further jump in quality. My favorite is the Saperavi – first planted here in 1994. Whether vinified into the bracing and spicy rose, or the deep, brooding red wine, it shows unusual depth and, as a red wine, a darker berry profile that is rare in the region. 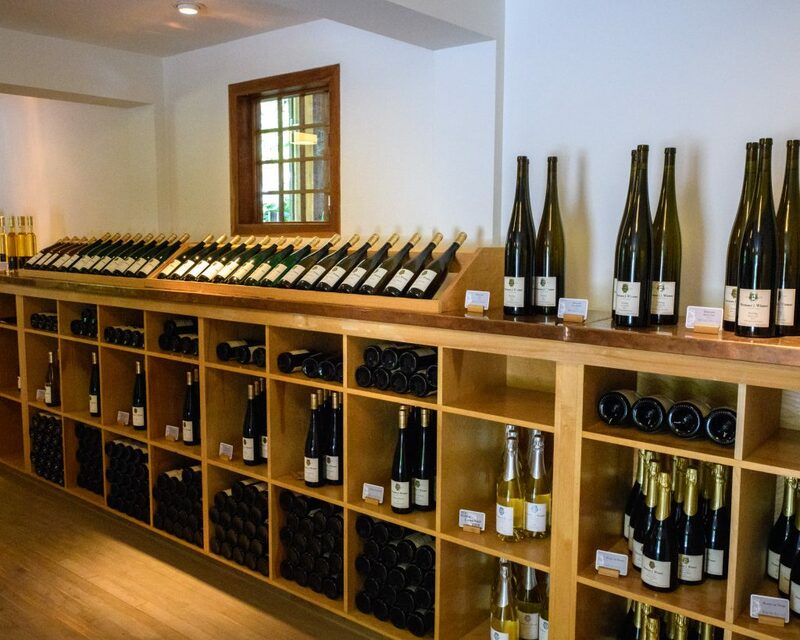 Their trio of dessert wines are not to be missed; choose between the riper, softer vidal, the floral gewürztraminer or the richer riesling… or take all three! Gewurztraminer is a difficult grape to grow, but, when good, its floral powers are impossible to resist. This wine shows the rose water and lychee notes the grape is famous for, but with the riper pineapple and mango that one finds in the Finger Lakes Rieslings. Hint of RS provides a roundness to the wine, leading to a tart, ginger-forward finish. This grape does marvelously in the Finger Lakes, showing the dark plum and black fruit notes that rarely develop in the cool climate. Yet it keeps the brightness and backbone, without the ripe fruit making the wine soft. The touch of savory herb on the back palate adds to the complexity of the wine.